Speedmonkey: Is The New Mini Really As Big As The Original Range Rover? 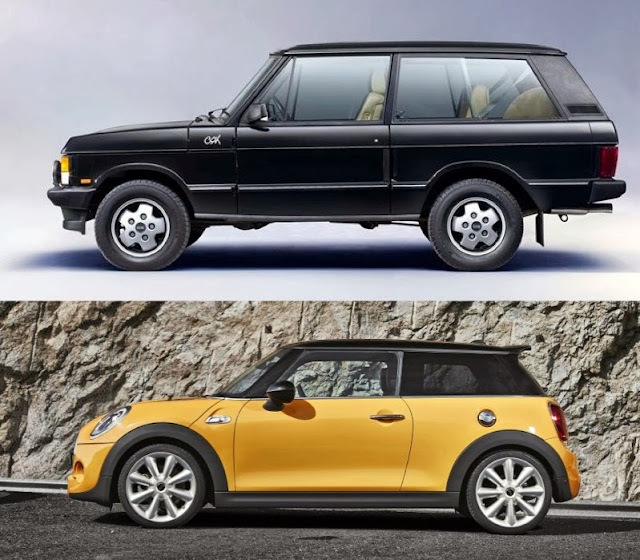 Is The New Mini Really As Big As The Original Range Rover? When the new Mini hatch was launched lots of people were saying it was so big it had the same wheelbase as the original Range Rover. So I checked the specs to find out if that's true. The data is below and shows that the new Mini's wheelbase is only 4.5 cm short of the original Range Rover Classic's. Also, the new Mini is only 5.1 cm narrower than the Range Rover. What differentiates them is the Range Rover's massive overhangs at the front and rear which make it a full 64.9 cm longer. The Range Rover feels a lot more spacious inside than the current Mini in terms of leg room in the back and boot space, both of which are tiny in the Mini. So the new Mini doesn't have the same wheelbase as the original Range Rover - but it's not far off.